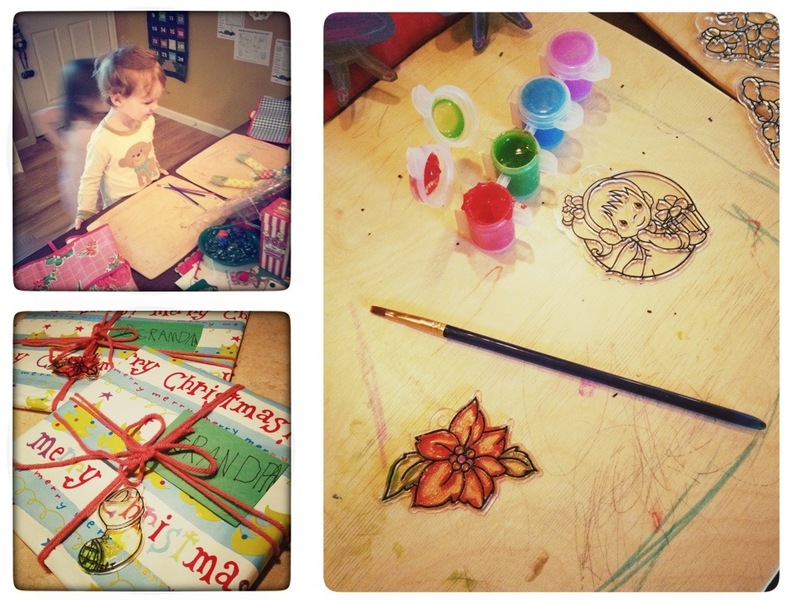 With only two days left, Elfie brought sun catchers for the kids to paint. 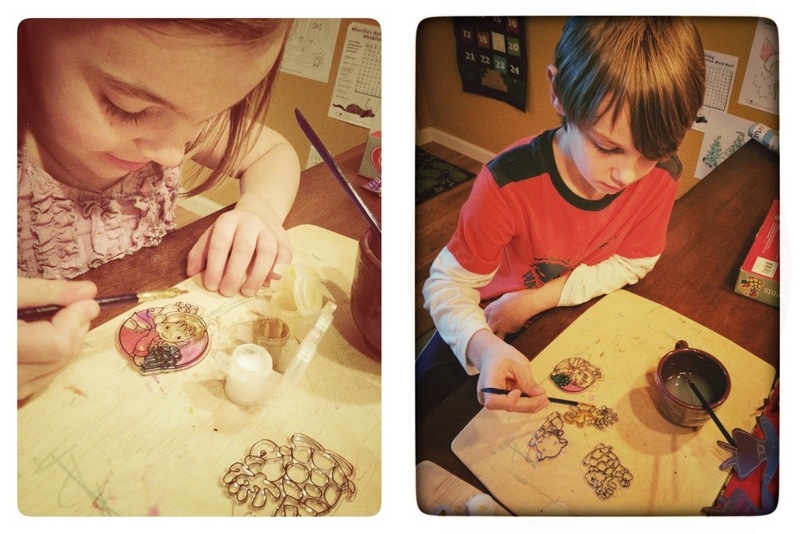 They even decided to decorate grandma and grandpa’s Christmas presents with them. These certainly are precious moments. « Planes, Trains, and Automobiles.